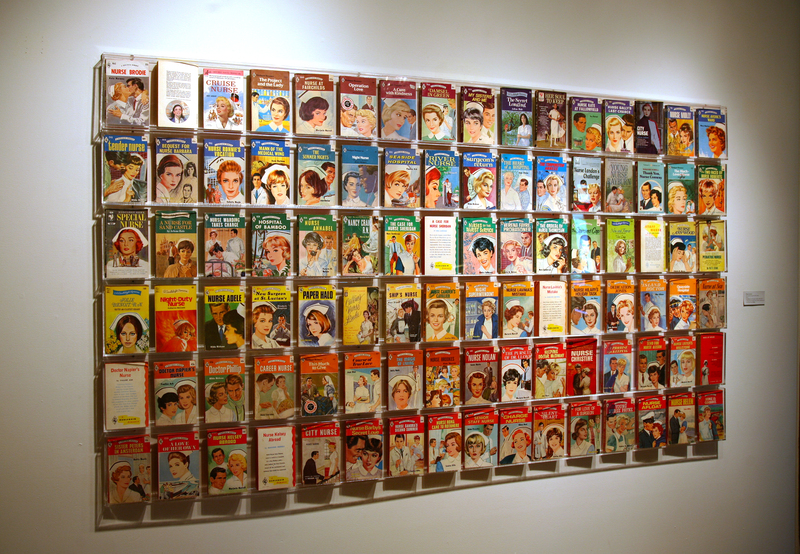 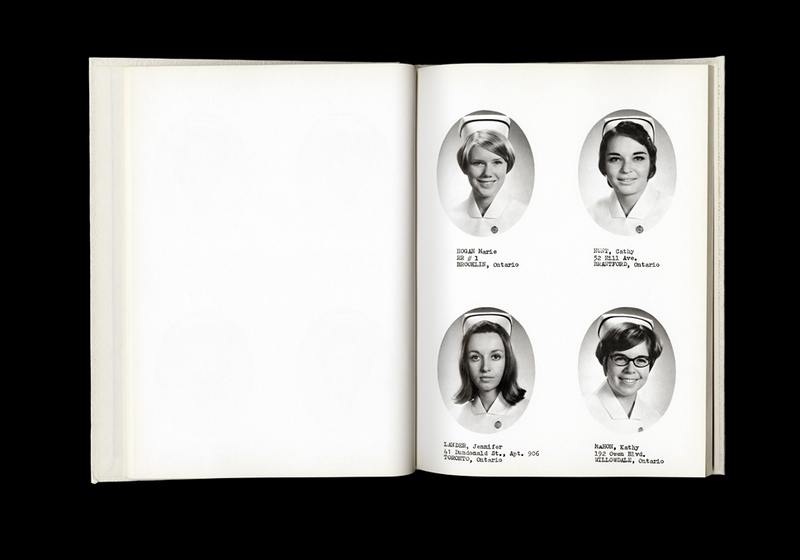 Books, acrylic shelving 96" x 48"
In 2011, I was commissioned to produce new work in celebration of the 100th anniverary of Women’s College Hospital in Toronto, based on research I conducted over several months in the hospital’s Archives. 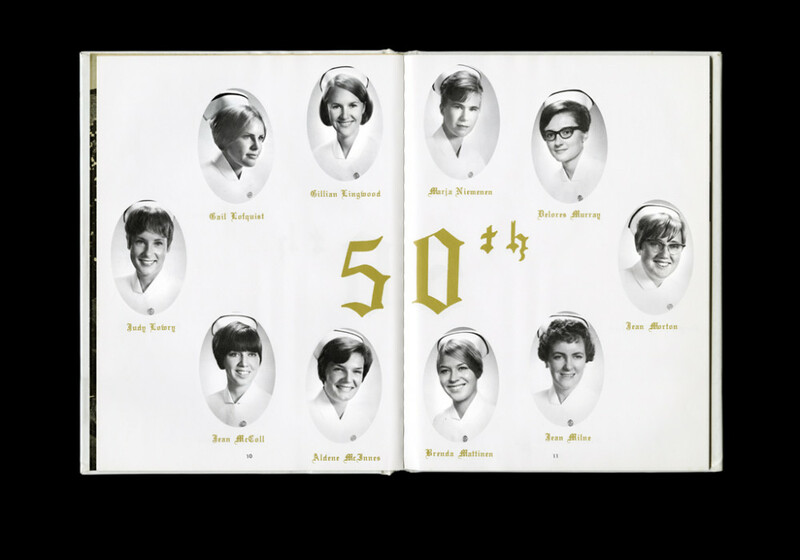 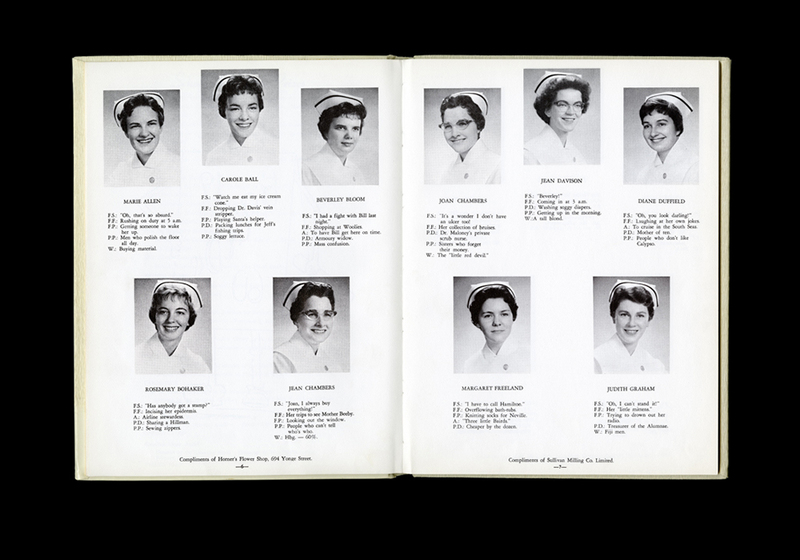 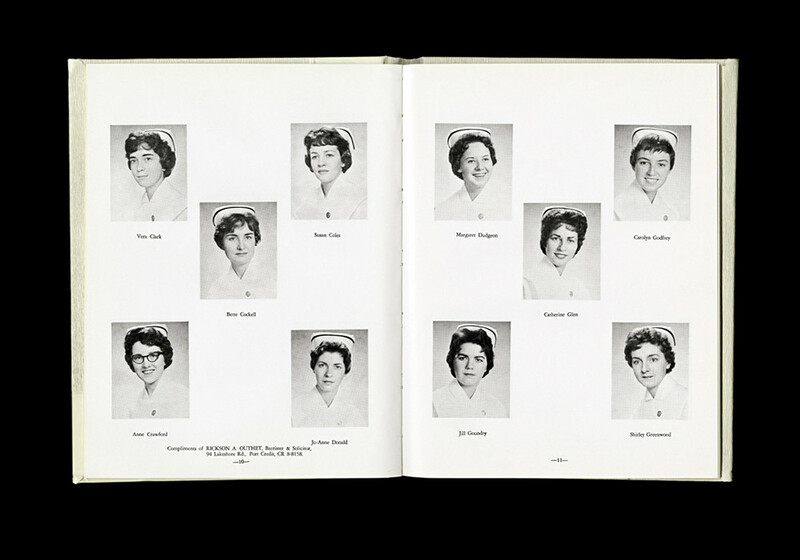 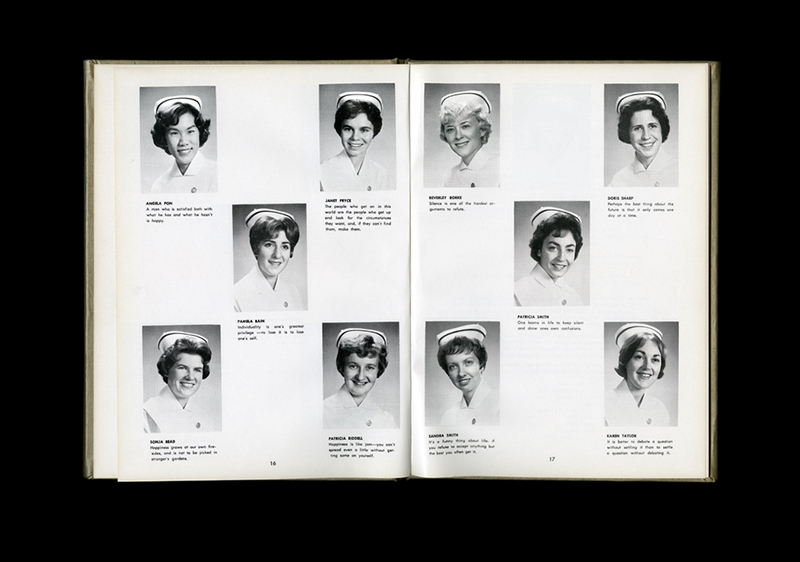 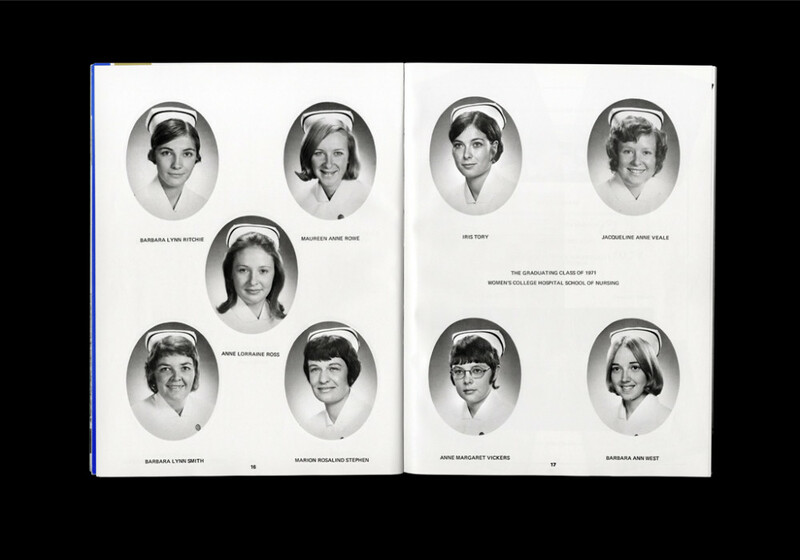 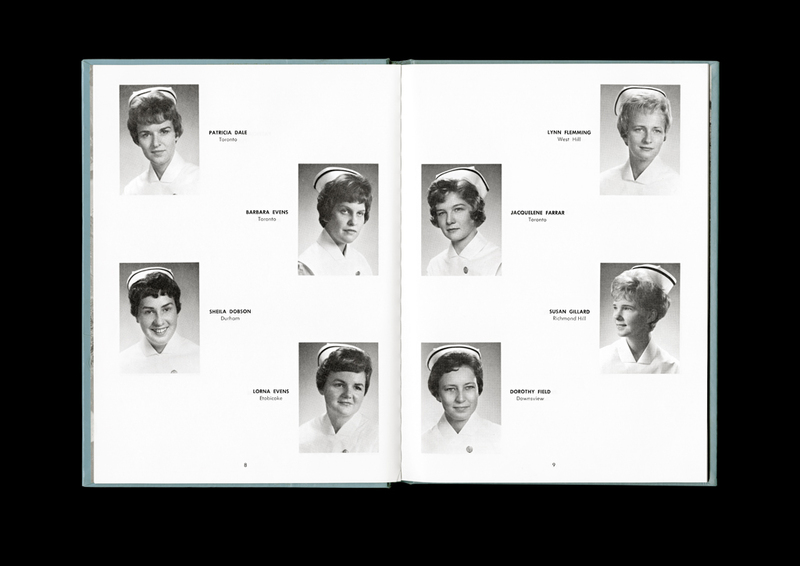 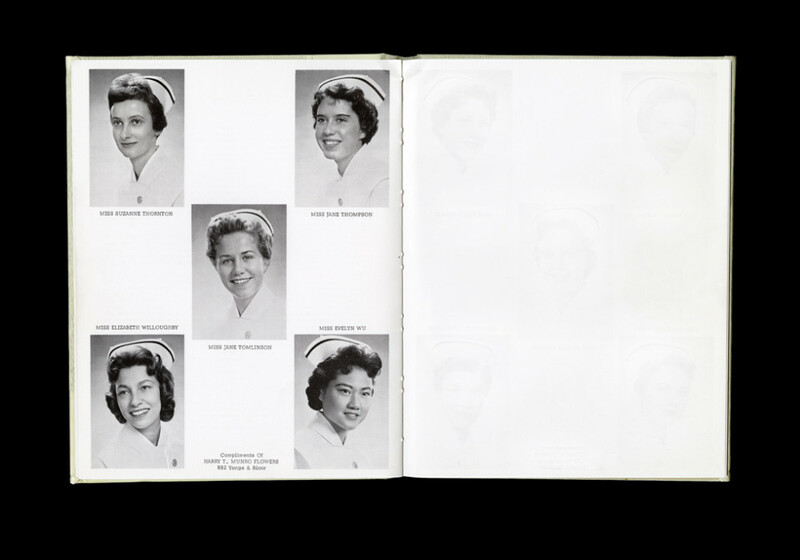 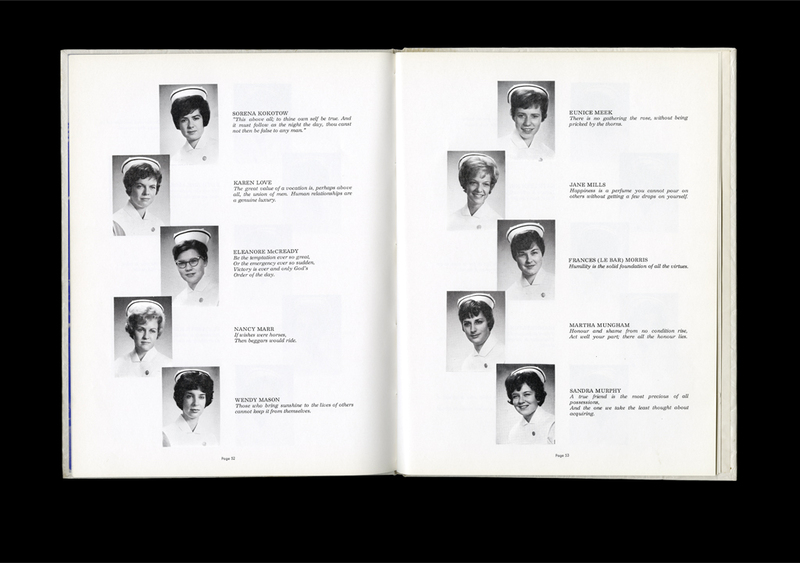 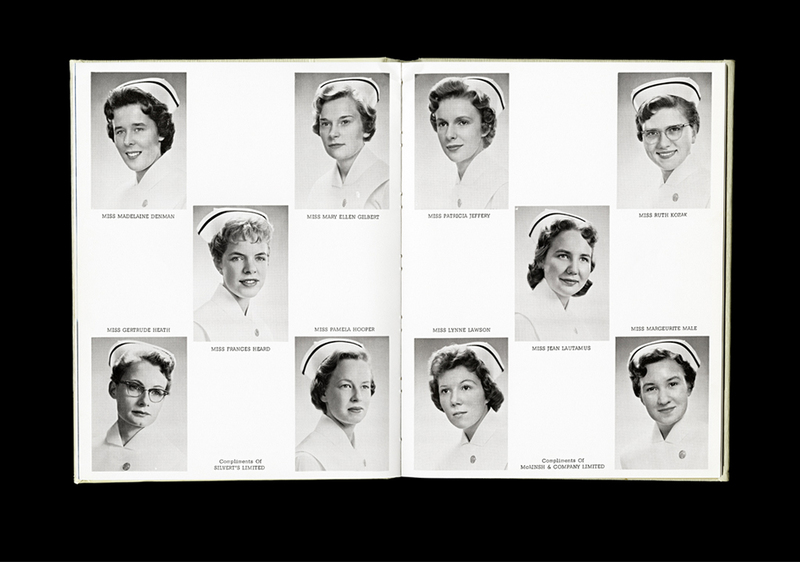 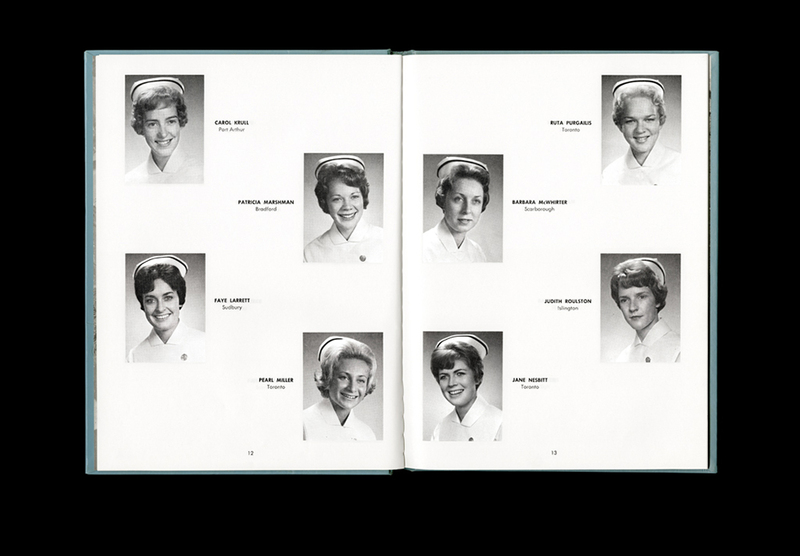 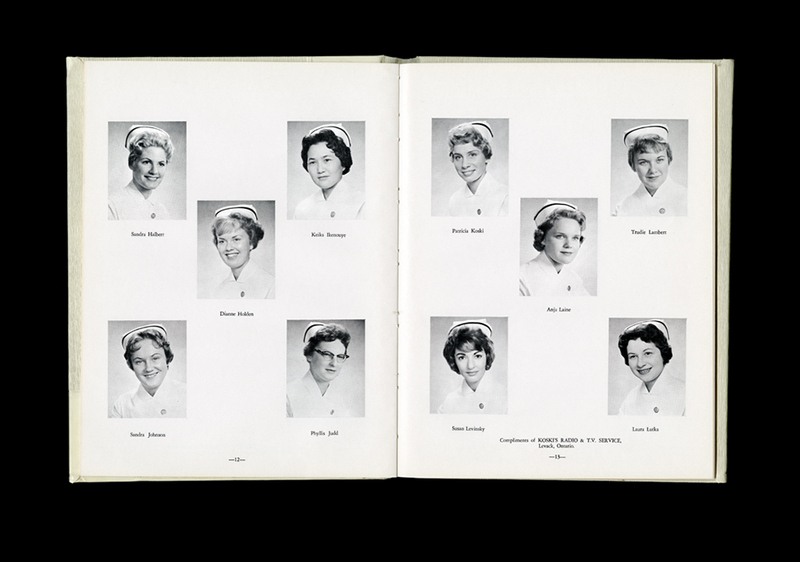 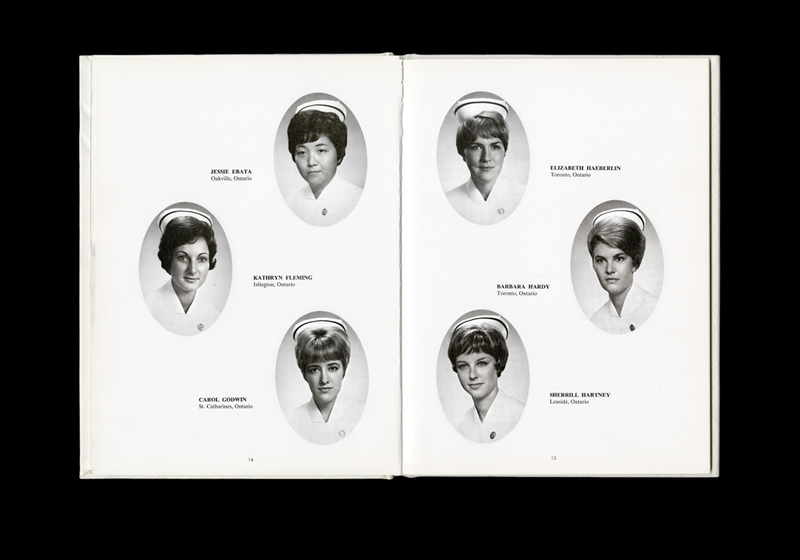 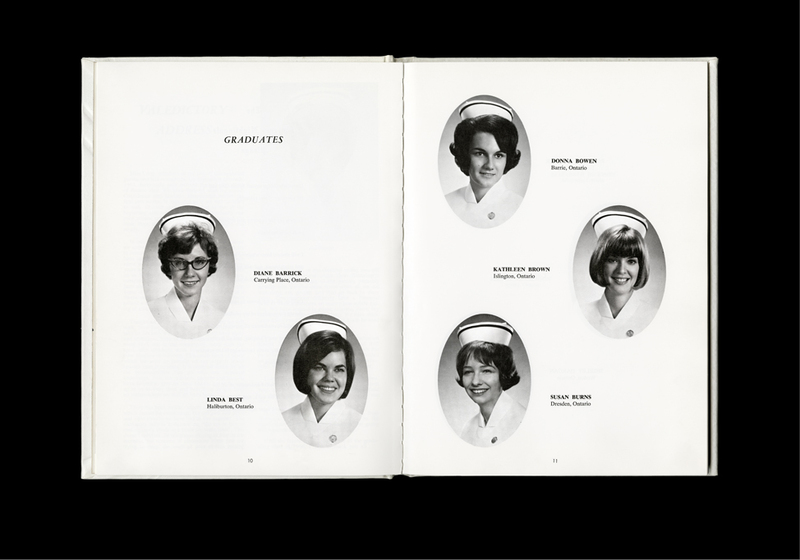 These photographs of the open pages of WCH student yearbooks reflect the racial and gender conformity of nursing at that time, and thus point to some of important social changes that have since taken place in the profession. 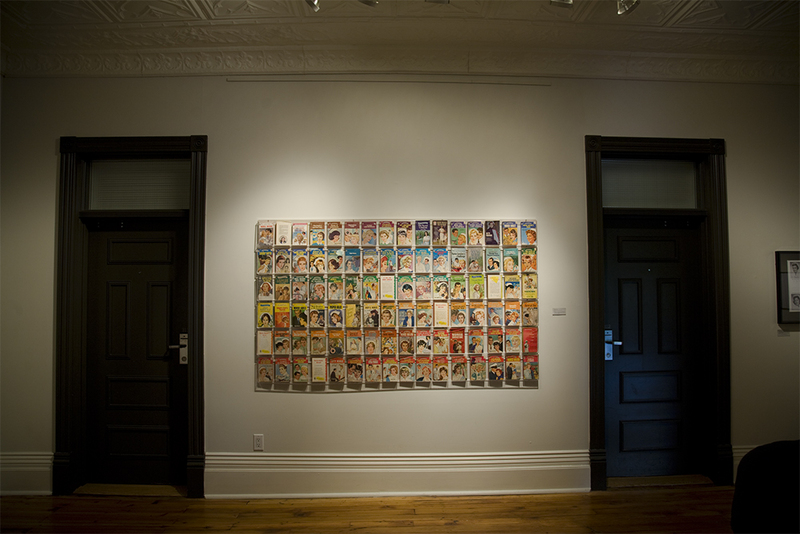 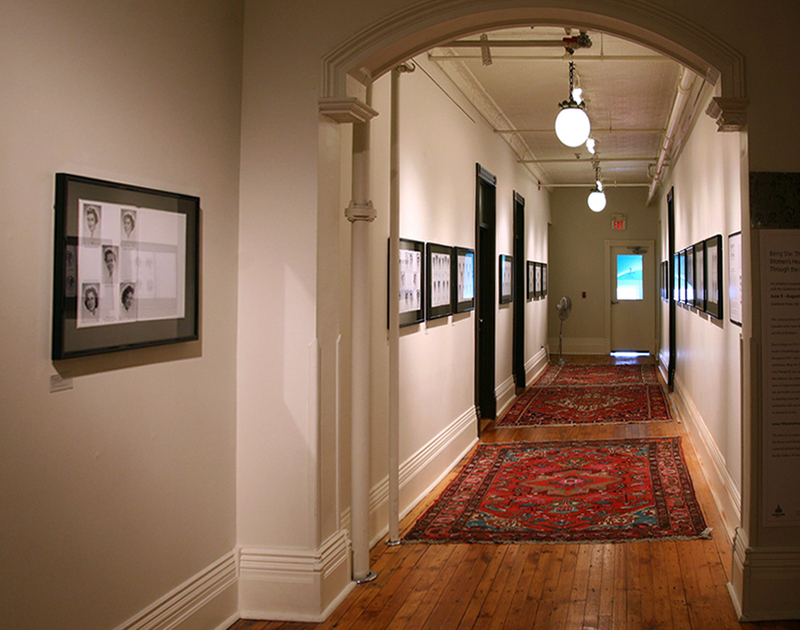 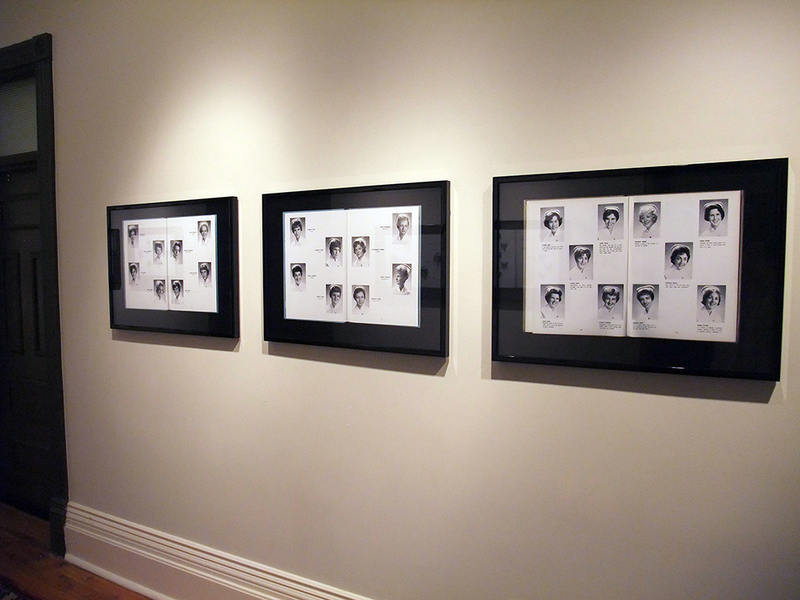 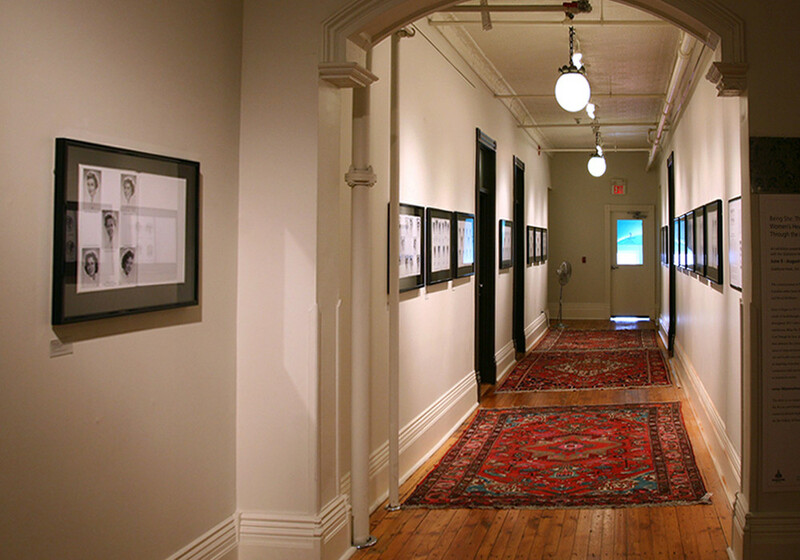 When these works were first shown in the exhibition Being She: The Culture of Women’s Health and Health Care Through the Lens of Wholeness (Gladstone Hotel, Toronto) I commissioned Andrea Fatona to write an essay about the absence of women of colour from nursing to accompany my work.